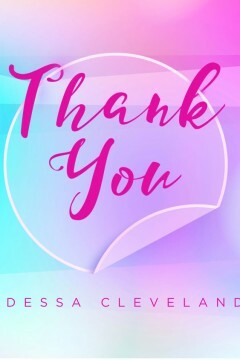 Thank You may be Odessa Cleveland’s first best-selling book on how to say thank you in different languages. She presents her poetic voice in various textures, colors and it is rich in gratitude for everyone. Each page emanates with synchronized images and words that are classic, varied and the essence of living and articulating thank you daily. Cleveland has written a book fir for anyone to give as a gift any time of the year, fir for anyone’s coffee table or shelf for a quick read and especially for anyone who enjoys expressing gratitude and acknowledging one’s kindness. As for my background, I am a retired National Board Certified teacher (30 years with Los Angeles Unified School District) with a Bachelor of Science Degree in Physical Education and English and a Master Degree in Business Management and Education. I worked as a Mentor Teacher for the district for thirteen years, and I worked as a Consulting teacher for the Peer Assistance and Review Program under the auspices of United Teachers of Los Angeles the last two years of my career. As a writer I have been published as a poet in several local and national magazines in the past, wrote objectives for various subject areas, wrote articles for school, and for community papers. I have appeared on M*A*S*H, General Hospital, Sanford and Son and several other television shows and numerous commercials.